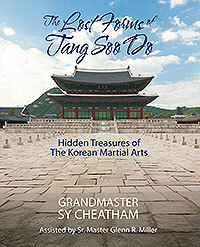 The Lost Forms of Tang Soo Do-Hidden Treasures of the Korean Martial Arts is a must for students of Tang Soo Do. This book reveals some of the least taught forms of the Korean system and will enhance your knowledge of traditional hyungs regardless of your association or affiliations. This stunning reference book is the culmination of thirteen years of study under Grandmaster Myung Seok Seo, my teacher. This book covers eleven forms from first dan to second dan midnight blue belt and includes photographs and detailed instructions of each movement. This book offers an easy to learn method which everyone can benefit from, while at the same time, increasing your knowledge of the more exotic forms of Tang Soo Do. The author, Grandmaster Sy Cheatham, 9th Dan has been practicing the martial arts for over forty years. His martial arts endeavors have included karate, Tae Kwon Do (5th Dan) Hapki-yusul (3rd Dan) Tang Soo Do, and Pressure Point Techniques. Grandmaster Cheatham teaches seminars for those who wish to continue their martial arts journey and increase their knowledge along the way. This book has been meticulously compiled by Grandmaster Cheatham and his senior student. 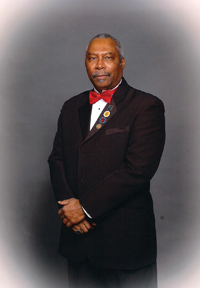 Grandmaster Cheatham operates the Korean Tang Soo Do Academy in Woodbridge, Virginia, where he resides with his wife and daughter.